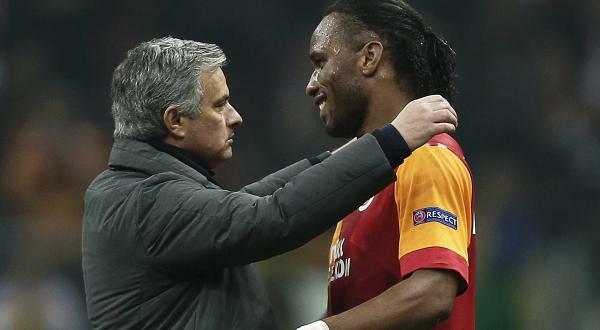 Former Chelsea striker Didier Drogba believes that Jose Mourinho is the right man for Manchester United. The manager has come under intense criticism from supporters and pundits as his side’s form continue to plummet. However the former Ivory Coast international believes that the manager should be given more time as he has taken charge of the club only at the beginning of the season. Didier Drogba said that it is still the same manager that has won the Premier League with Chelsea and he believes that he is still capable of doing the same with Manchester United. He said that it is still so early in the season and that there is still time for the manager to improve the team. Didier Drogba said that Jose Mourinho is a skillful manager and chances are he has already found ways on how to improve the team. He said that he had spent some good times with Chelsea when Mourinho was manager and that he has learned a lot from him. He has urged Manchester United fans to remain behinds the team and to provide the manager with their support. He believes that Jose Mourinho is the right man for Manchester United and very soon they will see a team able to deliver results. Didier Drogba spoke excitedly to reporters after his first goal this season against Chicago in the Major League soccer. The 38-year old Ivorian had only played as a substitute twice in his first six weeks of the MLS season, Didier Drogba is hoping to start his first match of 2016 when his Eastern Conference-leading Montreal Impact host Canadian rivals Toronto FC this weekend. “I’m improving. It was good to play those minutes, but now I need to push in the training sessions to make sure I’m ready to start. “Maybe not 90 [minutes], but at least start and play 60 or 70. It depends how long I can rely on my legs,” Drogba said. Drogba played for English giant, Chelsea FC after his switch from Marseille for 38.5 million Euros. He played from 2004 till he left on a high in 2012. He had a brief stint in China before moving to Turkish side, Galatasaray. Jose Mourinho gave him an opportunity in the 2014 season as they linked up again successfully before the centre-forward moved to MLS side, Montreal Impact. The player has been battling a chronically sore knee since the preseason. The club decided not to play him just to be safe especially on artificial turf. This effectively ruled the striker him out for four of the new season’s first five games. Drogba made his debut off the bench this season in the game against FC Dallas, playing the final 20 minutes of the 2-0 loss. Last weekend in Chicago, he entered just after halftime and scored a spectacular equalizer in Montreal’s 2-1, come-from-behind win. The French side Le Mans was the initiation of Didier Drogba’s career at the professional stage and it was a very difficult start for the attacker hailing from Ivory Coast as he was hampered with injuries and his family life made it very difficult for the player as he was a father at the age of 21 which was the same time when he signed his first contract with Le Mans. Even with all of those initial struggles and obstacles that Didier Drogba faced during first few years, the player managed to overcome all the odds and turn into one of the best forwards in the history of the Premier League and for Chelsea as well. After having played for over 16 years with some of the biggest clubs and players in the world, Didier Drogba is well aware that his playing career is reaching it’s last few phases and this is why he recently has been saying words of wisdom to his fellow teammates and helping out the younger players in the start of their careers.